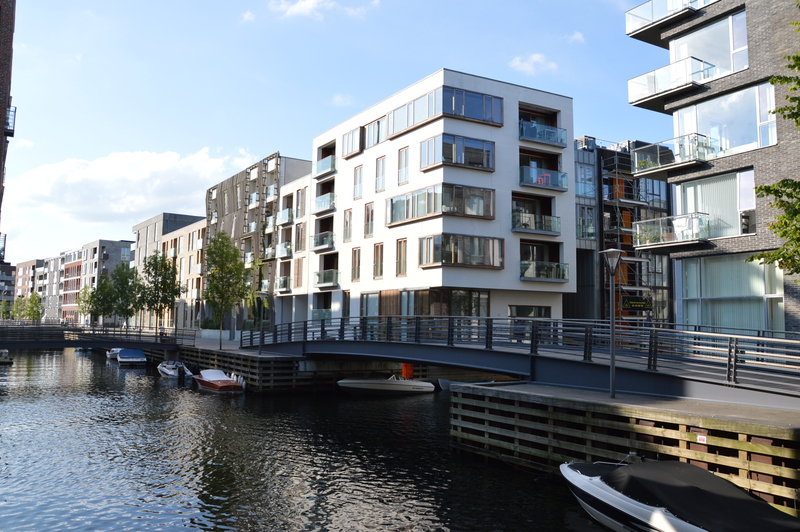 It´s hard to comprehend that 8 years ago, the first residents were moving into Copenhagen`s latest residential fledgling, Sluseholmen. From the initial 2 residential islands, Birkholm and Fyrholm, the area has grown to 8 islands with the iconic Metropolis tower tagging along with the adjacent public harbor baths being a focal point for many of South Harbor´s residents. This summer , the warmest for a generation or two, has seen the canals linking the islands to the harbor, being transformed into a chill-out playground. Kayaks mingle with toddlers in water-wings and during these gorgeous long summer evenings the canals have become a scene for ad-hoc floating concerts. 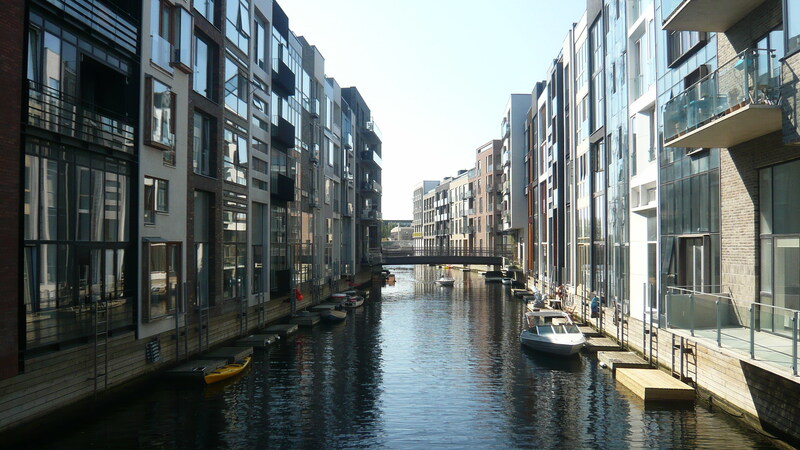 With plans of 3 more islands on the near horizon and a Metro-line looming, the next 8 years promise to keep Sluseholmen firmly on all visiting architects and urban planners on their to-do list. As for this happy resident, sitting on his balcony, listening to the swooshing of oars of a rowing boat passing by, I will keep you posted about this youngest of hoods. 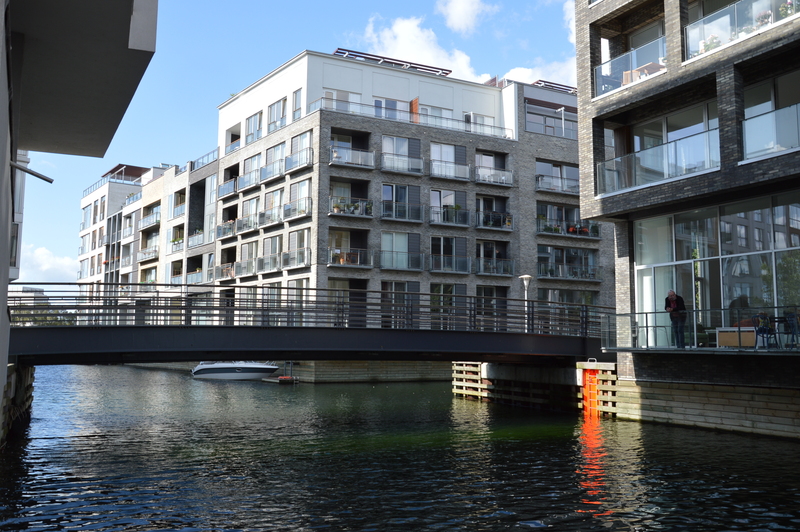 This entry was posted in Architecture, Harbor, Neighbourhoods, Urban planning, Waterfront and tagged Copenhagen, Sluseholmen. Bookmark the permalink. The theme is Wordpres/Infoway which I can strongly recommend. Simple and unclustered.